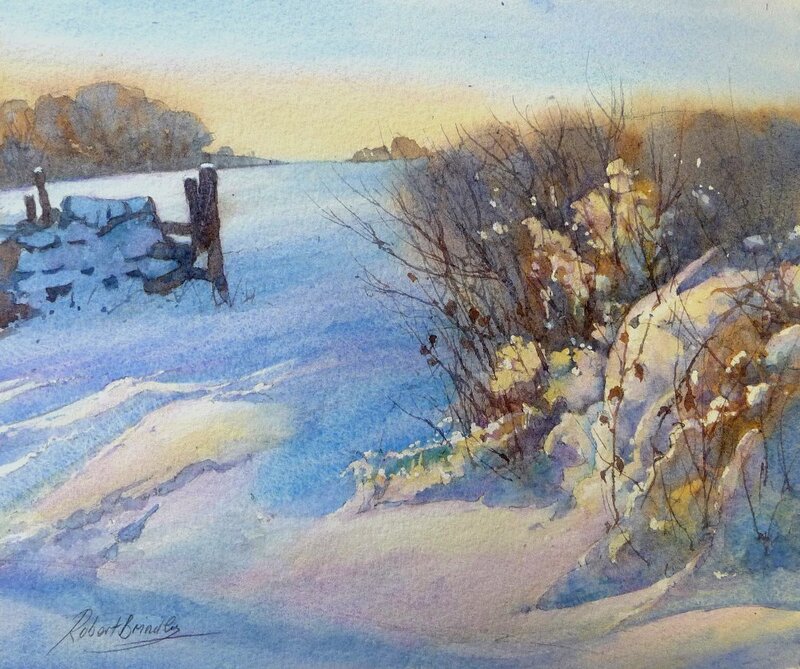 In this 22 minute atmospheric, watercolour demonstration, Robert paints drifting snow in the North Yorkshire village of Egton. 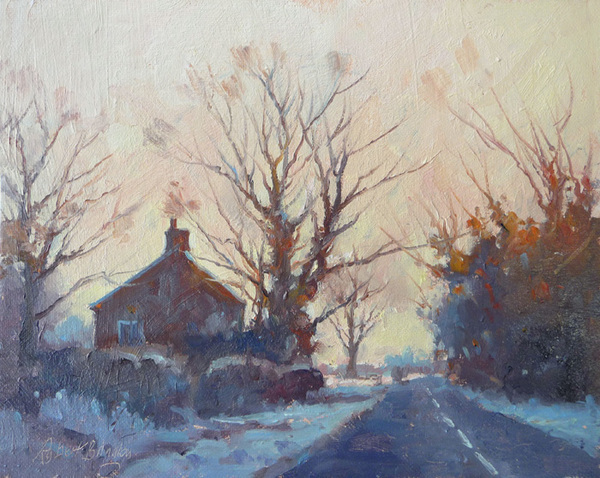 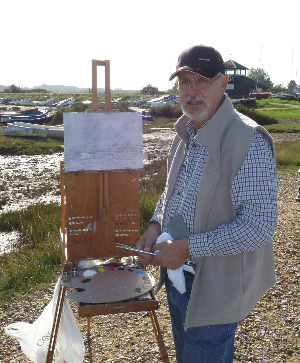 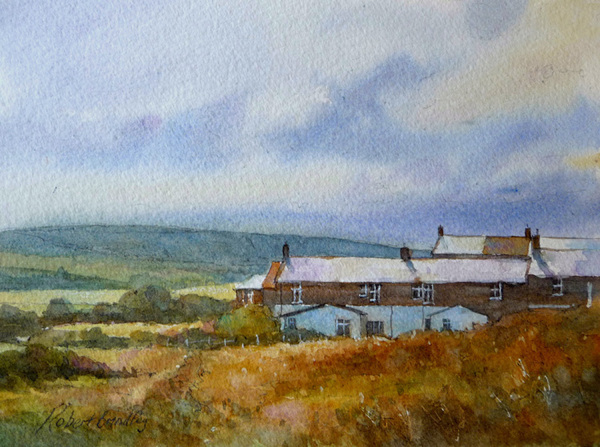 The demonstration is painted using a limited palette of colours, employing the ‘controlled wash’ method. The DVD begins with a short slideshow of snow scenes and ends with a slideshow of some of Roberts snow paintings. 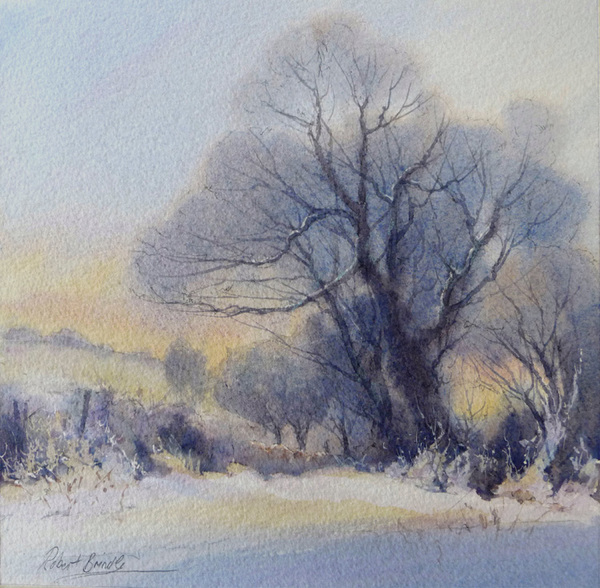 This is one of a series of Watercolour & Oil demonstrations, showing Robert's painting process as well as dealing with materials and colour mixing.